Michelle Chong is a bilingual artiste who has hosted and acted in many television programmes. She is also an award-winning film-industry hyphenate. In 2011, Michelle produced, wrote, directed and starred in her own debut feature film, Already Famous, which became one of the top ten highest-grossing Chinese films in Singapore that year. In 2013, Already Famous was Singapore’s entry for Oscar’s Best Foreign Language Film at the 85TH Academy Awards. Michelle has produced and directed her second feature film, 3 Peas in a Pod. 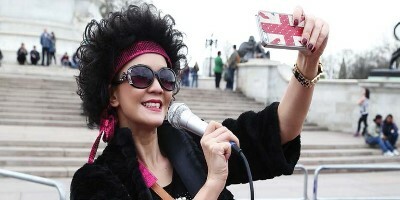 In 2016, she released her comedy feature Lulu The Movie, which features Lulu, a fictitious character that spawned from the Emmy-nominated Singaporean skit-based comedy series The Noose. She is the founder of Huat Films.